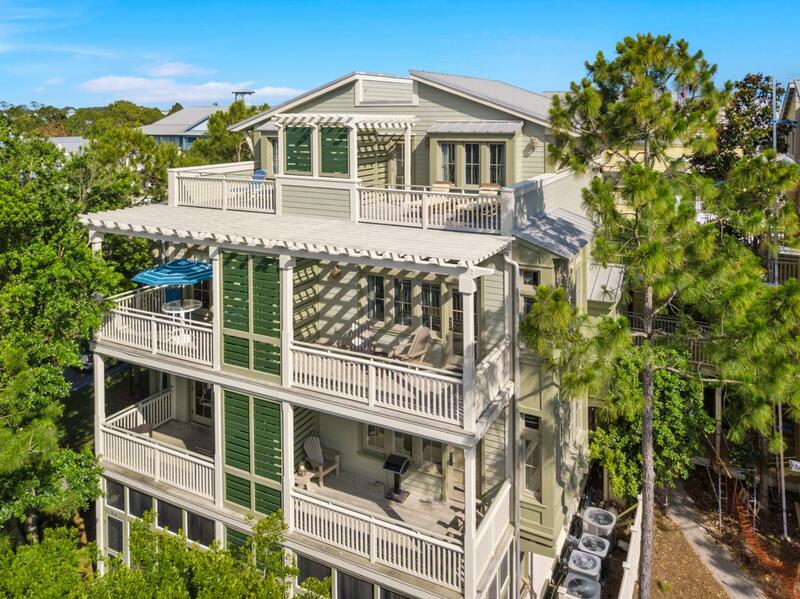 This spacious two-story beachside condo is just steps away from the WaterColor Beach Club and pool. It is also within walking distance to many other shops and restaurants located in this area. This unit offers 1 bedroom and two baths with a jetted tub and oversized shower. In addition, there is a queen sleeper sofa allowing this unit to accommodate 4 guests. Both porches are very large and from the top floor bedroom porch you can enjoy views of the Gulf of Mexico and Western Lake. This unit is sold fully furnished and equipped with all of the luxuries you would expect in a WaterColor condominium. The Seller has also already PAID IN FULL the new assessments for WaterColor!